Put your agility to the test in training and get yourself game ready with the Agility Multi-Directional Training Cones. This multi-pack contains four cones and four direction pointers one each of speed, straight, bend and U-turn. These cones are perfect to help improve your agility, technique, speed, balance, strength and coordination. 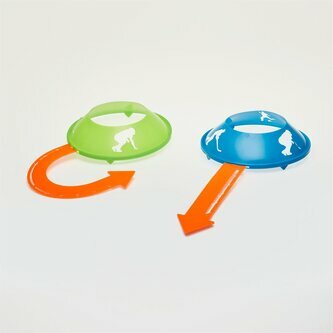 This pack encourages players to use both feet whilst dribbling with the ball in and out of the cones. Even better this pack can also be used in the privacy of your own home or garden to help you improve your ball control and skills personally.